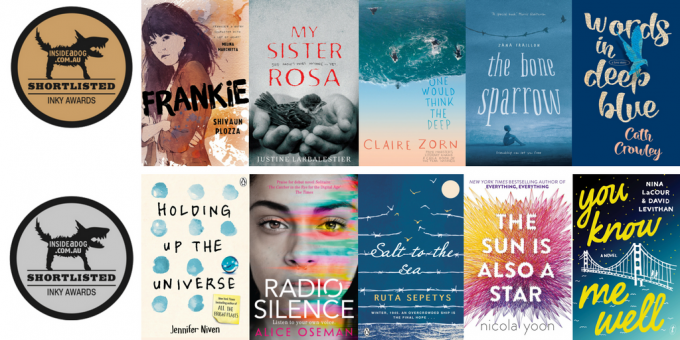 The 2019 Inky Awards longlists were announced March 4 – the Gold Inky for Australian titles, and the Silver Inky for international titles. 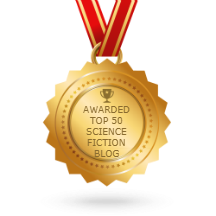 The award recognizes achievement in young adult literature, with nominees and winners selected by voters under the age of 20. The 2018 Inky Award winners were announced October 2. 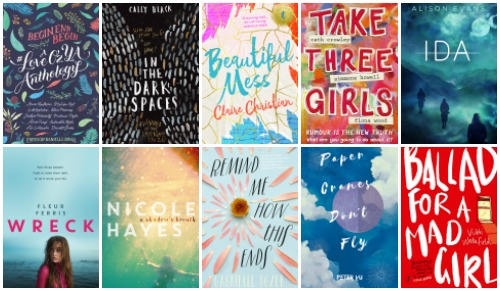 The award recognizes achievement in young adult literature – the Gold Inky given for Australian titles, and the Silver Inky for international titles. 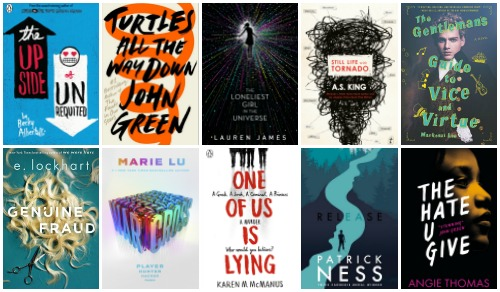 The Inky Awards are selected by teenagers, with the shortlist created by a team of teen Inky Awards judges, and the winners voted on by Australian teenagers aged 12-19. The 2018 Inky Awards shortlists were announced August 10 – the Gold Inky for Australian titles, and the Silver Inky for international titles. The award recognizes achievement in young adult literature, with nominees and winners selected by voters under the age of 20. Some of these titles are of genre interest. The titles were selected by a panel of past Inky Awards judges, the Dog’s Advisory Board and Inside a Dog alumni, all young readers aged between 12 and 20 years. Voting is open for the 2018 Inky Awards from August 10 – September 16. Winners will be announced October 2 at the State Library Victoria. The 2018 Inky Awards longlists were announced March 1 – the Gold Inky for Australian titles, and the Silver Inky for international titles. 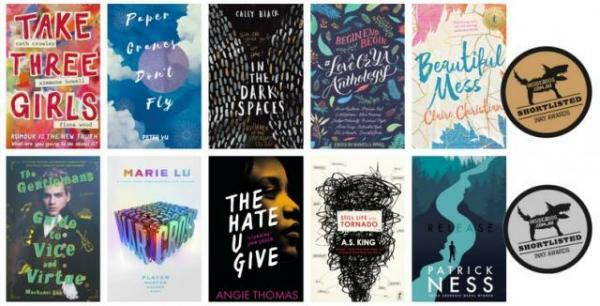 The award recognizes achievement in young adult literature, with nominees and winners selected by voters under the age of 20. Some of these titles are of genre interest. (1) HERALDRY. The former astronaut, now Governor General of Canada Her Excellency the Right Honourable Julie Payette, has an official Coat of Arms. A symbol of exploration and liberty, an open wing embodies our desire to reach higher and expand our horizons. As with birds protecting their young, the wing also conveys the strength and safety of family ties. Moreover, it represents Ms. Payette’s career as an aviator and astronaut. The Royal Crown symbolizes the viceregal office and service to all Canadians. The astronaut’s helmet represents the never-ending quest for knowledge, a quest that extends beyond the frontiers of the known world. (2) FEATHERED FRIGHT. Chloe N. Clark begins a new series of posts for Nerds of a Feather with “HORROR 101: An Introduction to Fear”. Welcome to Horror 101. This will be an ongoing series of essays about the horror genre: from analysis about the elements of horror to using monster theory to in-depth looks at individual works of horror…. So as a writer and reader I loved what horror could give me. As a teacher and scholar, though, I wanted to look under the hood. I became interested in exploring how horror operates on a level of mechanics as well as how it operates as a means of communicating ideas. What was the rhetorical value of horror? After studying monster theory, a fairly new form of critical study that looks into monsters and horror from the analytical perspective, I began to think even more deeply about the value of monsters and using them both in writing and in teaching. I’m lucky to teach at a university that allows me to shape my composition courses and this allowed me to create a class that teaches multimodal composition and communication through the theme of Monsters. Monsters are a fun way to get students thinking about much deeper issues. By exploring the ideas of monstrosity, we’re able to look at acts of othering and monstering that permeate history: racism, sexism, xenophobia, homophobia, and the list goes on. My students began to pick up on these ideas and tropes in various media they consumed. They realized it wasn’t just a “genre” thing as they could point to the language of othering and monstering in the speeches of politicians. (3) INKY AWARDS. The winners of the 2017 Inky Awards were announced October 2. The award recognizes achievement in young adult literature, with nominees and winners selected by voters under the age of 20. Some of the shortlisted titles were of genre interest, though it’d be a stretch to say that about either winner. The Gold Inky for Australian titles went to Words in Deep Blue, and the Silver Inky for international titles to Radio Silence..
(4) WHAT A LOAD OF BOVRIL. The Royal Albert Hall website, in a 2016 post, claimed to have hosted the first sff convention in 1891 — “5-10 March 1891: Bovril and the first ever Sci-Fi convention, at the Royal Albert Hall”. It was a fancy-dress ball for charity, that’s all. Widely regarded as the first ever sci-fi convention, the ‘The Coming Race’ and ‘Vril-Ya’ Bazaar and Fete was held at the Royal Albert Hall on 5-10 March 1891. This costumed fund-raiser was themed on a 1871 science fiction novel, The Coming Race by Baron Edward Bulwer-Lytton, in which the Earth is threatened by the ‘Vril-ya’. This superior and winged master race find the source of their power in ‘Vril’ – a latent source of energy akin to electricity. The Coming Race was a pioneering publication of the sci-fi genre, and extremely popular in popular culture in the 1890s. In the model of modern comic-cons, visitors were encouraged to come in fancy dress, filling the Hall with various ‘Coming Race’ characters and generally ‘exotically’ costumed fans of the book; many donned wings. The character of Princess Zee, from the novel, was played by a young lady wearing a black satin dress and silver flower tiara that glowed with electric lights. With Vril-ya architecture having been described as similar to that of ancient Egypt, Sumeria and India, the Hall was bedecked in flowers, palm leaves and ferns. A grand ‘Pillar of the Vril-ya’ was erected in the arena, modeled on Cleopatra’s Needle. Vril-themed magic shows, a fortune telling dog, musical entertainment and grand feasts were held in the auditorium, while winged Vril-ya mannequins flew above…. (5) DIEHL OBIT. The founding editor of the Los Angeles Times Book Review, Digby Diehl, died September 26. With many publishing credits as a reviewer, he also wrote celebrity bios and a history of EC Horror Comics series Tales from the Crypt. He was 76. October 2, 1959 — The Twilight Zone premiered. Born October 2, 1895 – Bud Abbott, whose resume includes Abbott and Costello Go To Mars (1953). This is sick humor I tell you, John King Tarpinian — today’s Off the Mark. (9) PRAISE FOR BARDUGO. 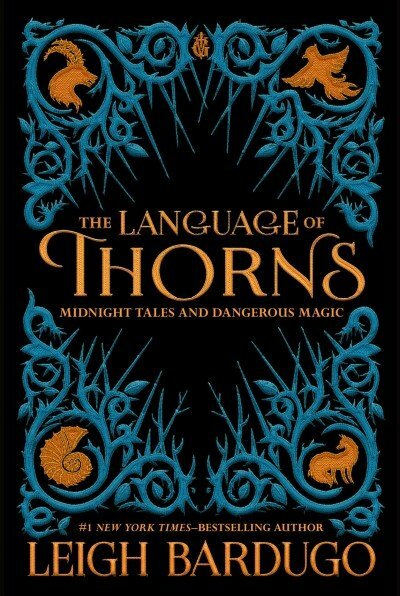 NPR’s Jason Sheehan approves of Leigh Bardugo’s The Language of Thorns: “‘The Language Of Thorns’ Will Ensnare You With Dark Magic”. Good fairy tales balance sweetness and nightmares. They are candy apples with razorblades inside; kisses touched with poison. Bad ones are nothing but sweet. They coddle and muffle and take all the sharp, dangerous edges off of the dirty business of learning important lessons in a world that’s rarely as nice as we want it to be. The bad ones sing Careful what you wish for and Sometimes pretty isn’t as important as smart with choruses of cute mice and bluebirds. But the good ones don’t end before there’s blood on the knife. The good ones understand that scars are the best teachers. (10) CURRENT EVENTS. NPR considers, “Winter Is Coming. What If Roads And Runways Could De-Ice Themselves?”. Starting in 2002 and working with the Nebraska Department of Transportation, he ran a five-year test on a 150-foot-long bridge near Lincoln, Neb. He says a 208-volt current running through electrodes kept the bridge free of ice during 15 major snowstorms at the “amazingly low” operating cost of about $250 per storm. The conductive concrete involves adding steel fiber and carbon to the concrete mix, he says. While regular concrete costs $120 per cubic yard, the conductive concrete costs $350-$400 per cubic yard. But in the long term, Tuan says the conductive concrete means fewer de-icing chemicals in the ecosystem, and concrete that lasts longer and costs less to maintain. It has long been the case that machines can beat us in games of strategy like chess. And we have come to accept that artificial intelligence is best at analysing huge amounts of data – sifting through the supermarket receipts of millions of shoppers to work out who might be tempted by some vouchers for washing powder. But what if AI were able to handle the most human of tasks – navigating the minefield of subtle nuance, rhetoric and even emotions to take us on in an argument? It is a possibility that could help humans make better decisions and one which growing numbers of researchers are working on. The next thing they’ll need after that is a computer that knows what to do when humans ignore their superior arguments – Facebook should give them lots of practice. (12) STILL NEWS TO THEM. Geek Girl Con managed to produce a bubble in time – Galactic Journey filled it — “[Oct. 2, 1962] Women of Washington, Unite! (The Seventh Geek Girl Con in Seattle)”. Ah, Geek Girl Con. Every year, Seattle’s clarion call of intellectual feminine fandom calls us to attend Washington’s signature science fiction/fantasy event. It is an intimate (but growing) gathering of sff devotees with a fascination for things both creative and technical. This year, as with last year, the Journey was invited to speak on the last 12 months in fandom, and boy did we have a lot to relate. From coverage of Marvel Comics’ slew of new superheroes to a report on this year’s Hugo winners, and with a special piece on the woman pioneers of space exploration, our four panelists ensured that our several dozen attendees left educated and excited. (13) CUFF INFO. Kent Pollard tells his plans for moving the Canadian Unity Fan Fund history to a new home. The cometedust.ca website hasn’t been used for anything else in half a decade, and the hosting has become pointless for me. rather than have it drop off the net completely, I’m going to transition the pages into a blogger account. the domain name itself is sufficiently inexpensive that I will retain it and point it that blog when I can (The Canadian Internet Registration Authority being privacy-aware requires all .ca domains to have private whois information, which must be manually removed before Google will accept a transfer of the name control.) The existing site will function for an un-defined period. Eventually (I hope), cuff.cometdust.ca will point to cufffanfundery.blogspot.ca. for the moment, users can go directly to that blog if they are seeking old info about the Canadian Unity Fan Fund. (15) FISHLIPS. Is this a threat or a promise? The Verge reports “Big Mouth Billy Bass will soon work with Amazon Alexa”. The tacky-but-classic Big Mouth Billy Bass will soon be compatible with Amazon’s Alexa assistant, according to Business Insider. This means the fish will be able to pair over Bluetooth and then lip sync and dance when music plays. I’m sure this is just what you all wanted: a connected, dancing silicon fish. The Big Mouth Billy Bass is a classic of novelty shops and Wal-Marts, designed to sing “Take Me To The River” or “Don’t Worry Be Happy” when its motion sensor is activated. There’s no built-in microphone, so presumably Billy is running off some off-camera offboard microphone.